well... yesterday, I figured it would need rubber to pass it's forthcoming WoF... so I went to Bridgestone Torrens Tce. Rather than cheap out - despite likelihood of selling it soon - I went for Bridgestone RE-003s. Stock size is 205/50R16. Ahhh, better. Scary that a car the size and power of the T5 runs on 205's are the 003 in that size 94 load rated? Nahhhhh, mine's "true sleeper metallic grey". 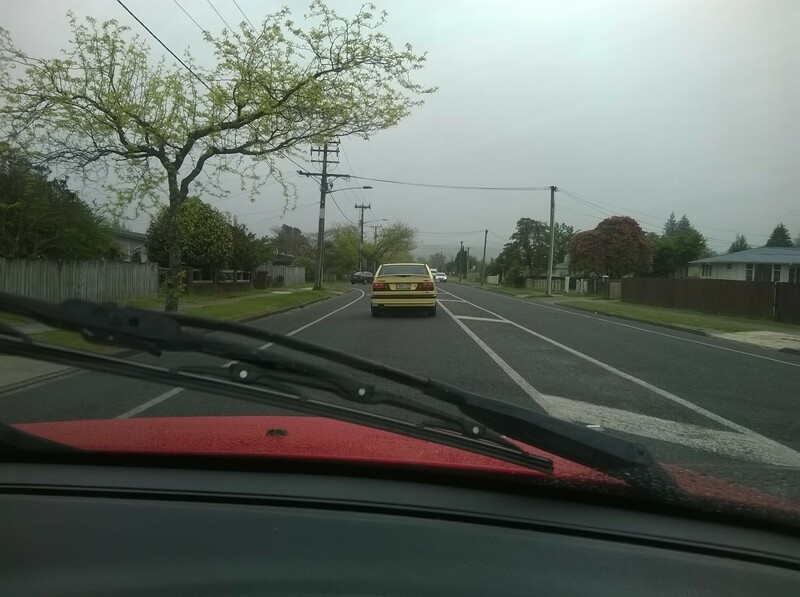 Couldn't be driving that banana! Good question you raise about the tyres, Ron. What did I do to my volvo recently? Replaced the battery after it failed while I sat on the side of the road for 20 mins on a conference call. sidelights on only. AA battery just out of 3 year warranty. Hey ho. and I repaired the odometer - new gears. And got it a new WoF. Passed with 2 advisories - Oil Leak (hey, it's a Volvo Turbo! ), and Serpentine Belt starting to perish. It was last replaced - along with the guides/pulleys and tensioners - in 2010. So I'm replacing it this weekend. Happy days. So I'm back to driving my e46, while my better half pedals the 855 in town. and today I zipped over to my mate's place for a catch-up, and we pulled a new conti sepentine belt from the parts stash and fitted it. The old one was indeed cracking on the inside ribs, thanks VTNZ WoF guys! Checked out my coolant tank bottom hose, found it was bulging - no more Uro hoses, they're sheet. Ordering genuine Volvo hose this time, replacement plugs, a few oil filters and sundry parts... and of course, a replacement conti belt for the parts stash. Oh, and I scored 20L of Penrite HPR10 oil. Oh, and looking at the piggybank I think we'll be keeping this wagon another 6 months. Last week I replaced that bulging cooling system hose. Yesterday, I replaced the spark plugs (genuine Volvo), and cleaned the leads. Found a vacuum hose disconnected. Over xmas I'll replace all the vacuum hoses. Today I may do a cooling system flush, and add new antifreeze and deionised water. The coolant is 2 years old. Been doing the same on the Saab, had a heater hose fail luckily it did not overheat. water cooling lines to the turbo had pinholes and leaked under pressure, product of the stingy previous owner not running a decent coolant. 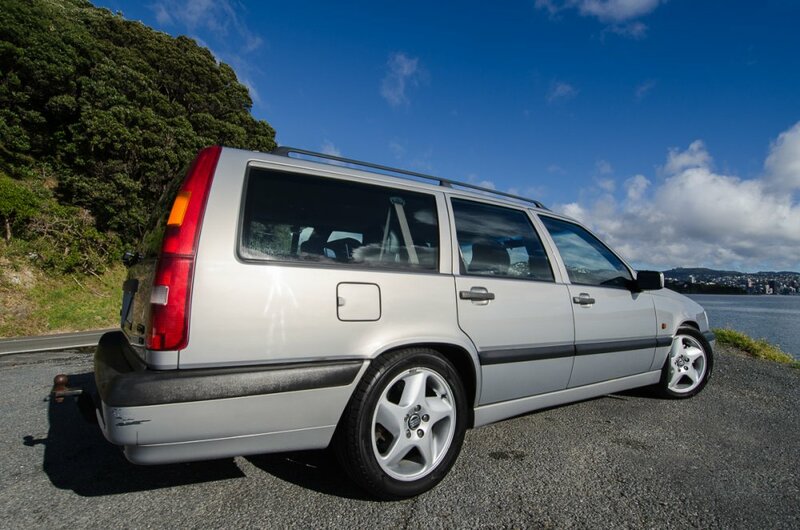 Which was the last Rear wheel drive Volvo? looking for a project. already been through and replaced the radiator, all cooolant hoses (including turbo and heater), and the heater rad as well. Hint: avoid URO hoses, they are shite and don't last. I didn't do the coolant flush after all. Next weekend I guess. 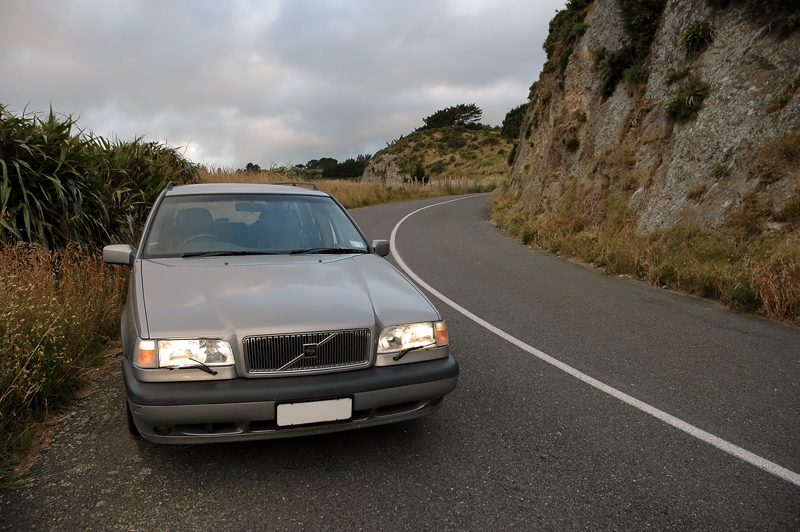 What's the last RWD Volvo? Uncertain, Ron, though the V90 or S90 are RWD and come with large hairdryers on the side.... they were previously 940/960. You want the 940 as it's the Turbo. The 960 *may* have been V6, although that may have discontinued with the 7xx series, I forget. The 9xx is an update of the earlier 7xx (such as 740/760). When they went to S90 (Saloon) and V90 (Wagon) they were basically facelifts. You can get a bunch of power from the RWD turbo wagons, but not as much as you (easily) can from the 'white motor' 5Cyl turbo units in the 850/V70 series right through to last decade. Not sure if you can really get the RWD Volvos handling as you'd expect, so perhaps the FWD compromise with the superior power train and safety is a better choice. Fancy an 855-T5 then? 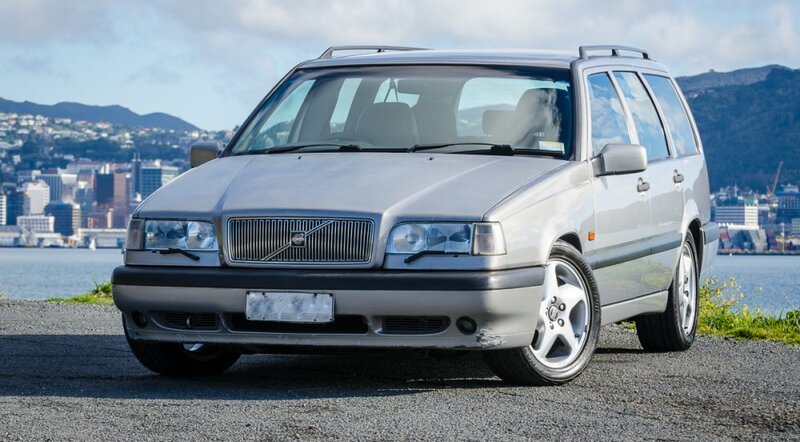 Seriously though, you can get good high-pressure turbo Volvos at around 9 years old for play money... you source your parts from FCP (and oh, there will be many of them! ), there's little expertise for them in Niu Zild so you need to rely on yourself (and it helps the low entry price), and you enjoy a safe, comfortable and very quick sleeper for not much money. What's not to like? Just avoid the S80, it's "a bit sh*t". I did wash it today, though. well, last week I found a crack in the cap (had an old spare, and later found a crack in the reservoir. A few days later I found the Nissens radiator I had replaced 3.5 years ago had let go on the drivers side. drip----drip----drip----drip when I got to work. Read up on the reviews for the rad on FCP - including mine - and found many people finding they crap out. Ordered new reservoir & cap, and genuine Volvo radiator. Drove home that night, the leak had turned into a steady stream drip--drip--drip--drip--drip--drip--drip--drip so stopped driving it. Parts arrived this week; I was too busy with work and visiting family stuff, so turned to Page European for the work. Got a precautionary gas test (in case of HG blow pressurising cooling system; passed. Phew. All sorted, now to see about freight cost RMA for refund of old radiator. This sunday: fitting rebuilt front callipers and bleeding the brakes (she's been pulling badly under braking. (6-8% imbalance noted during WoF test, worsened since... a sticky caliper). I elected to go with rebuilt calipers rather than seal kits and potentially screw around with car off road if pistons too far gone. Summary: I guess despite being well-cared for and constantly fed a diet of OEM and Original parts during 12 years of ownership, she was feeling the need for another parts infusion at 20 years of age and a (comparatively youthful) 194k kms! PS - I'll give her new oil and filter as a birthday present, too. replaced failed gearbox mount with used item. Most particularly, the LAMBDA light has extinguished and stayed gone. A new fuel filter and a solid Coolant Temp Sensor connection will undoubtedly have contributed to this, along with a good tankful of BP's finest 98. Usually it runs on Caltex 95 with some BP 98 from time to time. So I've filled it with BP '98, and made a list of things to tidy up the beast for sale. I've owned this since November 2006. Been building a stack of paperwork covering all the work I've done on it... there's stuff I'd forgotten about! Watch this space, it'll be ready for sale before the end of next week. hosted on flickr. all rights reserved. today, I've spent 3 hours just cleaning it. Thorough clean, including all the door jambs and accumulated grime, wheels, a light go-over under-bonnet. Taking a lunch break before claybar, polish, wax, and do the black stuff. Going to use masking tape this time. Wish me luck. I think the interior valet might wait until next weekend. Going to need to use this next week to carry 4 more lengths of fibrous plaster cornice before I sell it. It's damned useful and versatile, this wagon. At this rate I'll sell it, and find I need to replace it with an e39 Touring! polish and double wax job done, tyres done with blacking gel. Next time, black trim, glass, and then on to the interior. pulled out the left hand side repeater... cleaned the contacts, indicator sorted. To celebrate, took it to VTNZ for a WoF. Passed first time with flying colours. Not that there was any doubt! ANZAC day arvo, interior detail, photos, then she's ready to sell. yesterday I gave the 855-T5 a total vacuum and womble, emptying it all out. took the space-saver spare to the gas station and put 60psi in. shampood the mats, gave the rear cargo area a good clean. today I did the Colourlock leather treatment (3 stage refresh kit) on the leather seats. Leather Cleaner, Leather Fresh (Toner), Leather Shield (Nano-Protectant)... and I added a fourth step, a finishing wipe with a little Elephant Leather Preservative. As a result they're looking very smart. (I must do a clean and protect on the e60, it's looking good though will really look alive with this stuff). All that remains to ready it for sale is to clean the glass, clean the dashboard and plastics, protect the plastics, wash the exterior, and dress the black exterior trim. Then take some beauty shots, and it'll be on the market. 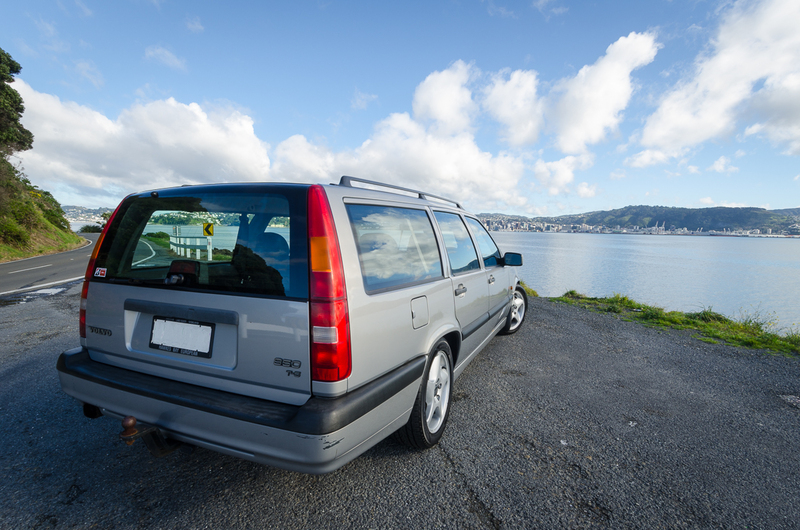 It's looking pretty damned sharp for a 20 year old super-wagon, if I say so myself. since last update, I had the carpets fully valeted, and then took all the photos for sale. Then I got a bit busy and I left it parked on my street. Yesterday I started it for the first time since 10 July - and of course it started first time. Warmed her up, put some air in the tyres, and took her out for a recommissioning drive. Going very well, my wife will be piloting it for a few days while we get new tyres for the e46. Found a note on it from an old work friend, he might be interested iin buying it. Time to find her a new home. 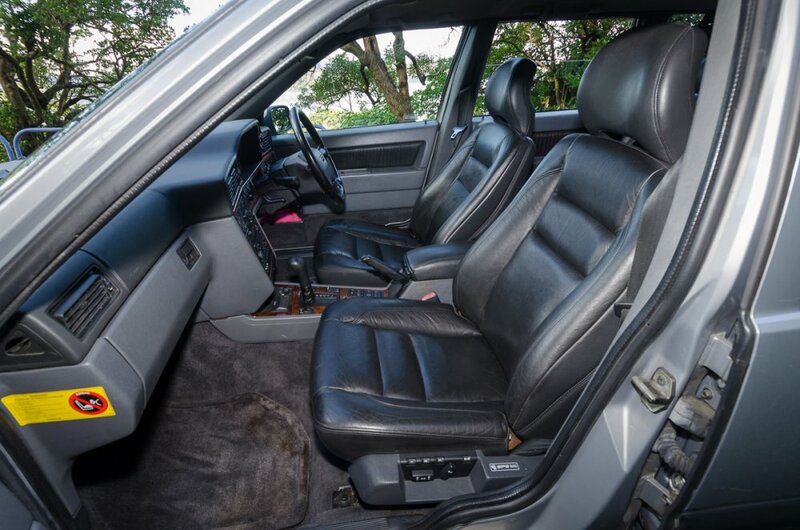 not bad for 20 year old leather interior eh? !